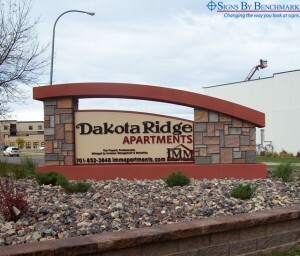 When Sign Dzyn of Minot, ND received an order for Dakota Ridge Apartments signage, the customer made one thing very clear: the sign had to be big. Having worked with Signs By Benchmark on previous projects, the Sign Dzyn team quickly made the call that would bring both companies together to meet the end user’s needs. 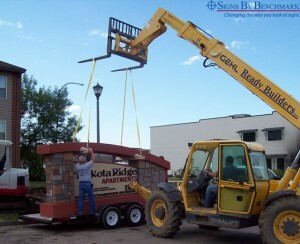 Working together to design the sign, the two companies proposed the very signage the customer was looking for. 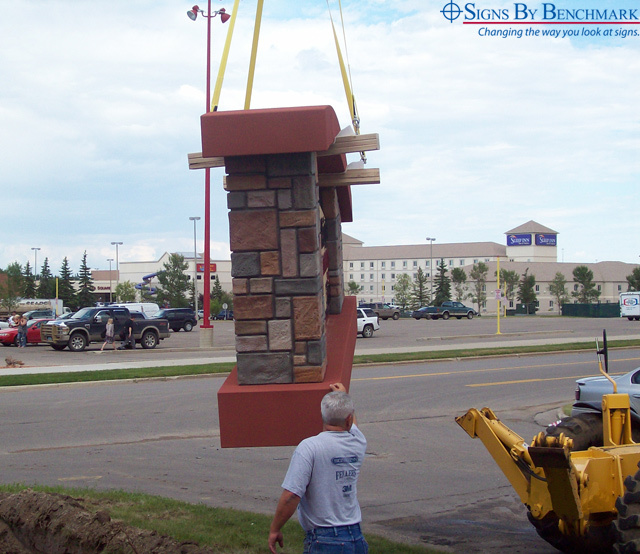 Measuring 16′ long x 7′ high x 30″ deep, the custom monument has no trouble standing out from the hustle and bustle. 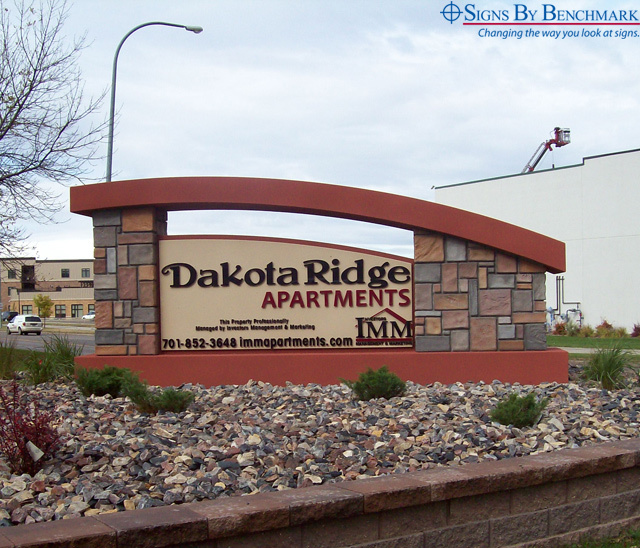 The double-sided sign features a two-color acrylic stucco finish, faux stone columns and a copy panel applied directly to the face. Acrylic Gemini letters were placed on the copy panel by Sign Dzyn just prior to sign installation. Due to lightweight, yet durable cellular plastic construction, installation was a breeze. 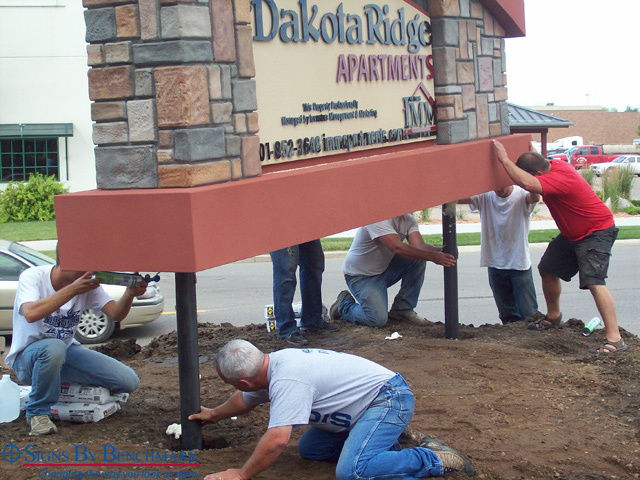 Give the team at Signs By Benchmark a call at 800-658-3444 to discuss high quality lightweight, durable signage that won’t fail to visibly display your customer’s message.